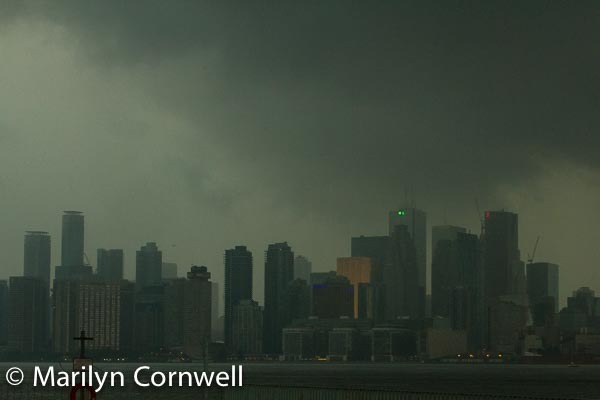 Isn't the Toronto skyline wonderful! And yes, this is taken from the Toronto Islands - on Ward Island. I was lucky to be on a garden tour for the Garden Bloggers Fling participants. 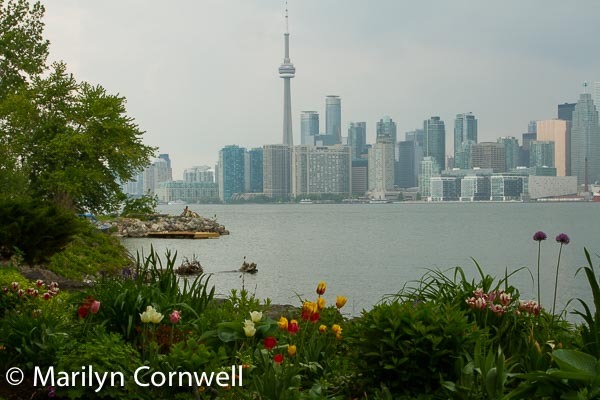 The Toronto skyline image seems to be one picture and the garden in the foreground another one. It was quite an amazing experience. The haze in the air turned into a thunderstorm at the end of the tour, as we waited for the Ferry.